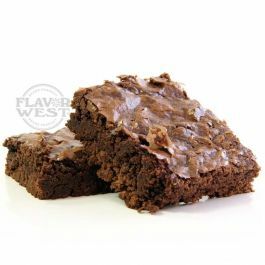 Fudge Brownie Flavor is a concentrated flavoring that adds gourmet taste to your favorite desserts, beverages and treats. The outcome of a drop of this flavor in your recipe is a yummy chocolate delicious taste. Type: Fudge Brownie Water Soluble Flavoring. Ingredients: Natural and artificial flavoring and propylene glycol. USP Kosher Grade Flavoring. Usage Rate:15-20% for E-use. Flavor Suitability: Drinks and beverages, smoothie, desserts, pastries, baked treats and more. Specific Gravity: 1.05 No Refunds on Flavoring.